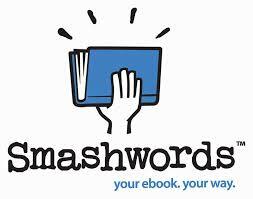 Smashwords is an eBook distributor that takes your book and distributes it to multiple eBook retailers such as Apple, Kobo, Nook and Diesel. Having gone through the Smashwords conversion process myself, I can tell you what a pain the formatting process is. You first have to format your Word document in a very particular way, before submitting it to the infamous “meatgrinder”. It produces your book in multiple formats such as ePub, mobi, HTML and PDF. Mark Coker and his team do great work but the formatting is a huge obstacle. My Smashwords formatting service takes all the pain of this process away and gives you an ePub file that will be correctly validated and guaranteed to be accepted by Smashwords. Thankfully, Smashwords now has Smashwords Direct. You can bypass the meatgrinder process and instead upload your ePub file directly to Smashwords. This is a whole lot easier than formatting for Smashwords. However, there’s the drawback that your book will only be available in the ePub format. Since this is the format accepted by all major retailer except Amazon, it’s not too bad. You also have to consider that Smashwords does not allow internal links to any other eBook marketplace. No links to Amazon, Apple, etc. are allowed inside your book. Instead, you can direct your users to your website where they can find your other books. I’ll ensure that your ePub will be accepted first time with no errors. To get started with your Smashwords ePub, fill out the eBook Conversion Form.